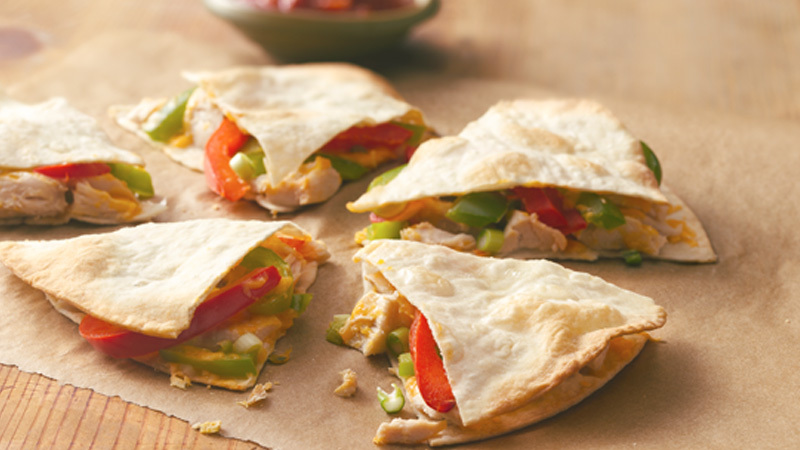 A speedy supper for two made in minutes using ready-cooked chicken, peppers and cheese! Preheat the oven to 200ºC (180ºC for fan assisted ovens), gas mark 6. Line a large baking sheet with foil. Spray both sides of each tortilla with the olive oil cooking spray. Place 2 of the tortillas on the baking sheet. Top each with half the chicken, peppers, cheese and spring onions. Top with the remaining tortillas and press down gently. 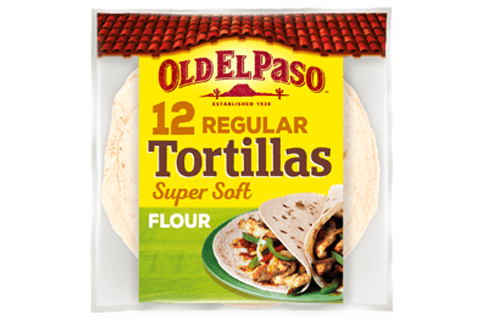 Bake for 8-10 minutes until the tortillas are crisp and golden and the filling is piping hot. Cut into wedges and serve with salsa. Add a handful of spinach leaves to the filling or some lightly fried sliced mushrooms. You can use any variety of cheese you like in these quick quesadillas – try thin slices of Brie or crumbled goats cheese for a more tangy flavour.